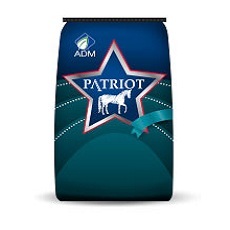 Barrel, race and eventing horses and other elite performance horses require the perfect balance of amino acids from protein, essential fatty acids from fats, digestible fibers and starches. Premium fatty acid, vitamin and mineral sources like HEALTHY GLOTM stabilized rice bran, Omega Flax ground flax seed and wheat germ meal with octacosanol provide nutrients that allow horses to perform at their best for the longest amount of time. POWERGLO is a premium feed formulated for barrel, race and elite performance horses. POWERGLO is the perfect combination of grains, vegetable fats, oats and corn, and digestible fibers to maximize power and stamina in horses. POWERGLO contains the best three fat sources for horses, stabilized rice bran, Soy Shine® soybean lipids and Omega FlaxTM ground flax seed in a highly palatable, easy-to-digest, soft pellet. POWERGLO also contains extra antioxidants, wheat germ meal with octacosanol for improved oxygen utilization and Omega 3 essential fatty acids for reduced inflammation after exercise. POWERGLO is also excellent in rations for broodmares, growing horses and stallions. POWERGLO is made with a fixed formulation using uniform, premium quality ingredients for a consistent, superior product. POWERGLO contains Stabilized Rice Bran, Soy Shine® soybean lipids, Omega FlaxTM, GROSTRONG® vitamins and minerals, soybean hulls and beet pulp (highly digestible fiber sources), and other ingredients. Stabilized Rice Bran rice bran contains 20% fat and high concentrations of antioxidants, vitamins, minerals and 13% hypo-allergenic protein with a complete amino acid profile. HEALTHY GLO provides energy from rice oil (vegetable fat), structural carbohydrates, and non-structural carbohydrates. Since fat is 2.25 times higher in energy than carbohydrates (the major component in grains), energy intake can be maintained with Stabilized Rice Bran and less grain. Stabilized Rice Bran also provides vitamin E, B-vitamins, essential fatty acids, and essential amino acids. Omega FlaxTM ground flax seed with Omega 3 essential fatty acids. Omega 3 fatty acids are essential fatty acids that reduce inflammation and promote membrane integrity. They must be provided in the diet. The richest plant source of Omega 3 fatty acids is flax oil. Soy Shine® is a combination of lipids and digestible fibers from soybeans. Soy Shine is extruded for maximum digestibility. GROSTRONG Minerals are a source of salt, electrolytes, major and trace minerals, and fat- and water-soluble vitamins which complement the forage in horse rations. Soybean hulls and beet pulp are very digestible sources of structural carbohydrates. These fermentable fibers have the same beneficial effects as forage fibers for maintaining gut health and fluid and electrolyte balance. They also provide more energy than typical forages without producing the symptoms of grain overload. Oats and wheat midds are highly palatable sources of structural and non-structural carbohydrates, protein and fiber. Wheat middlings also contain wheat germ (see below). Dehydrated alfalfa is an excellent source of digestible fiber, calcium, and protein. Prosponse® brewers dried yeast is included in POWERGLO because of its ability to enhance feed palatability, digestibility, and hindgut fermentation in horses. Wheat Germ Meal with Octacosanol. Wheat germ is the reproductive area or embryo from which the seed germinates to form the wheat grass plant. The “germ” makes up only about 2.5% of the weight of the wheat kernel, but is the most nutritious portion. Wheat germ is separated from the bran and starch during the milling of flour. It is rich in vitamin B complex, vitamin E, octacosanol, enzymes and minerals. Octacosanol. Wheat germ is nature’s richest source of octacosanol, a compound reported to improve energy storage in muscles; improve oxygen utilization; enhance performance, endurance and stamina, even at high altitudes; quicken reflexes; and increase the ability to handle stress. 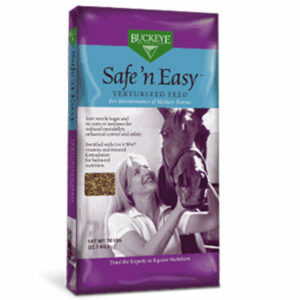 Salt and other electrolytes needed by performance horses. Grinding and pelleting of ingredients makes them easier for horses to chew, digest, and absorb. Pelleting also prevents sorting and refusal of ingredients, so that each bite is balanced for nutrients as formulated. POWERGLO comes in soft pellets, which are easy for horses to pick up and chew. 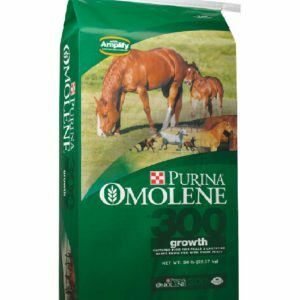 POWERGLO Palatability Since performance horses can require twice as much energy and other nutrients as idle horses, it is very important that they readily eat all of their feed. POWERGLO is formulated with ingredients that performance horses will readily consume. Typical sweet feeds contain 10% or more liquid molasses, which tends to make handling difficult, reduce shelf life, and form chunks during cold weather. Spilled or wasted sweet feed also attracts flies. POWERGLO is highly palatable, without the undesirable characteristics of typical sweet feeds. POWERGLO Feeding Rate POWERGLO is highly concentrated with 12% fat from all-vegetable sources. Performance horses can receive all of their needed nutrients with 4 to 8 pounds of POWERGLO along with 20 to 30 pounds of good-quality forage, allowing them to maintain digestive health while performing. Other performance horse feeds often require 15 or more pounds to meet requirements with the result that only 10 pounds or less of forage are consumed and digestive disorders and ulcers are common. POWERGLO is THE Premium, High-Carbohydrate, Added-Fat Feed for maximum power and stamina in barrel, race and elite performance horses. POWERGLO is not a supplement; it is all in the bag with this product! POWERGLO is unique in the marketplace. 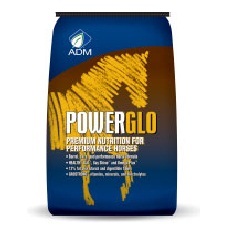 POWERGLO is also excellent in rations for Broodmares, Stallions and Growing Horses. In some cases, additional protein supplementation is required for growing horses.